Marc Portman is a freelance agent. 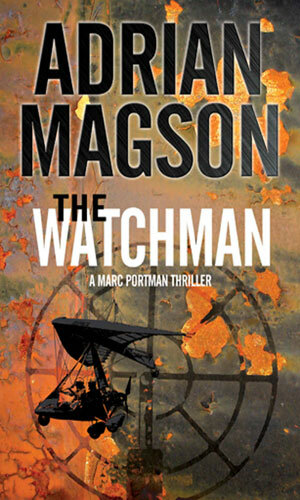 He is a watchman, to use the parlance he uses. A shadow. A man who is not there and never was. Some mistake his trade as that of a minder or a bodyguard, protecting his clients from harm by staying close and vigilant. With Portman that is not the case and he would not be interested in taking such an assignment because that is not what he is good at. Portman's area of expertise is to watch from a distance, monitoring things before they start and while they are ongoing all with the objective of seeing trouble coming. From his vantage point, he tries to predict what will go bad, how to counter it before it does, and how to deal with things once they do go off the rails. He is very good at what he does. He is seldom without a job because he seldom fails. He has a few associates who know how to get in touch with him when a prospect needs his help and he is able to pick and choose those assignments that interest him. Portman is quite capable of taking care of himself in combat up close and deadly but is even better at dispatching problems from a distance because that is his specialty. He would much prefer it if the client never knew he was there. His history is quite sketchy and he likes it that way. He has few close friends and seldom has the inclination to talk about himself with those he professionally meets. His past is his business. It is known he was in the American military for a time, probably Special Forces. It is rumored that he worked for a time in the French Foreign Legion, a fact that he pretty much acknowledges without outright saying it. There is also no doubt that he really dislikes bureaucracy and the office politics that get good men out in the field killed while desk chair experts pretend they have a clue what to do in a crisis. It is obvious from his abilities and his experiences that he has been doing this for a fair number of years and without a family to tie him to any spot and an actual enjoyment of the challenge, he plans to keep doing it. Two British MI6 agents are sent into Somalia to negotiate the return of several hostages. Marc Portman is hired to be their shadow and help them survive the trip in and out. The people they are meeting have nasty plans in mind and survival is not likely for anyone. A State Department official is sent on a mission to Ukraine to meet with the various factors in the hope of future peace talks. Some of the factors do not want success, though, and neither do some people back home. 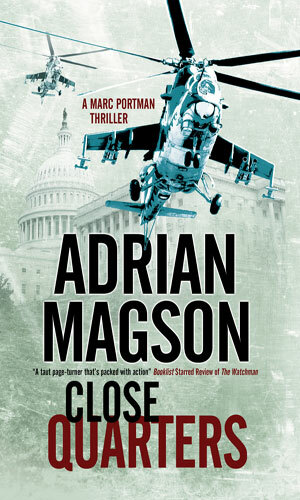 A CIA official hires Marc Portman to find and rescue the official but someone is very determined he be stopped. 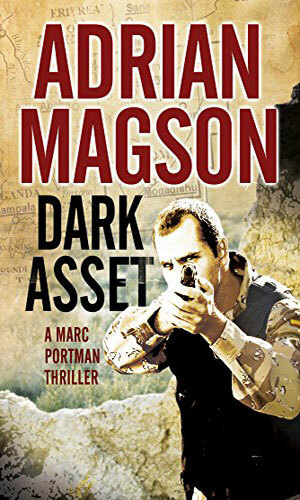 In Russia providing covert back-up for a wealthy Russian business man with close ties to Putin, Mark Portman knows his job is not an easy one because as his protectee tries to bring Russia and the US closer, others want him to literally die trying. A French intelligence agent is heading to Mogadishu, Somalia, to collect a memory card with vital info on it. 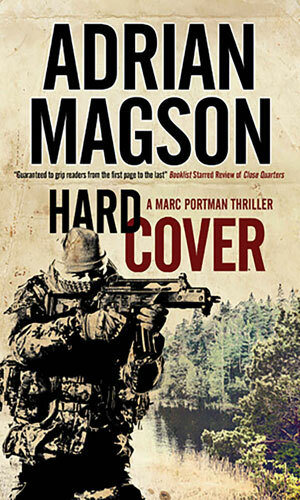 Marc Portmant is hired to provide covert coverage. Somalia is one of the most dangerous places to be and things are about to get worse. Oh, my goodness! What a series! As I write this, there are two book in the series with one more coming soon. Not soon enough to suit me, though. I absolutely devoured the first book and licked my lips in satisfaction. Then I grabbed the second and leaped in. These books are fantastic and Marc Portman is a terrific character. Smart and capable and experienced and darn good at what he does and still susceptible to the unkindness of the Fates but he can improvise with the best of them and so is still alive. As are those he is hired to protect. I was a big fan of the author from his Harry Tate series (and still am) but as much as I liked Tate, Portman is even better. This man can write. A lot of writers will pull the reader from one set of events to a totally different one, breaking the action and letting the reader see what else is transpiring. Sometimes this is done well and other times not so much. With Mr. Magson's style, though, the breaks from the actions of Portman are almost like a needed breather - useful and entertaining and important to let us catch our breaths. But he never stays away long. I wholeheartedly, strongly, fervently (is that enough adverbs?) recommend this series. Really! Very strong series. So is the author''s other series, Harry Tate. GREAT writing talent.